Dr. Arthur Annis and Dr. Margie Baum Annis are thrilled to announce that 2018 marks their 27th year of service to the Wilmington Community! As the proud owners and operators of the Myrtle Grove Chiropractic and Acupuncture Center, husband and wife team Dr. Annis and Dr. Baum have been at the forefront of providing healthy alternatives to healing, wellness, and nutrition while adhering to the highest standards in the fields of Chiropractics and Acupuncture. 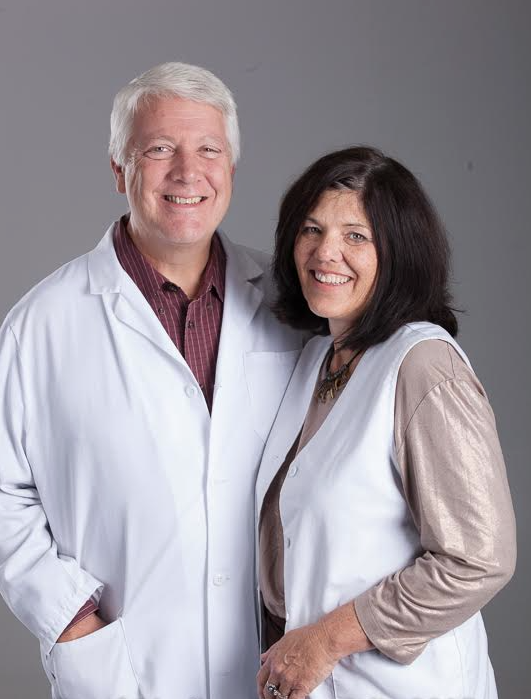 Both doctors have a bachelor's degree in biology, and attended Logan College of Chiropractic, where they met as students. They have a designation of diplomat from the National Commission for the Certification of Acupuncture and Oriental Medicine (NCCAOM), and are nationally certified in both Acupuncture and Chiropractic, a truly rare and prestigious distinction. Dr. Annis is a fellow of the American Society of Acupuncture and the International Academy of Medical Acupuncture. Dr. Baum is certified in Applied Kinesiology. In their practice they engage a wide variety of techniques that are customized and tailored to treat each of their patient’s individual and unique needs. Dr. Annis is author and lecturer of “Staying Healthy in a Sick World”. He is available to lecture for your club or organization.